Sydney Shop Girl: I'm Working More Hours A Week Now. I Need A New Green Handbag. Obviously. I'm Working More Hours A Week Now. I Need A New Green Handbag. Obviously. A select number of Master SSG's 'pets' who got the day spa treatment in the front loader befor being hung out to air dry as part of my headless chicken laundry frenzy this weekend. I've (just) survived my first week of working four days a week since ... forever. To be honest, the hardest part of it so far has been the anticipation and the overcompensating. The sense that I need to overschedule my days off (ie that sacred Tuesday and the weekend) with 'to-dos' just in case I run out of time. I've spent this past weekend scurrying around doing 'stuff'. 'Stuff' that I felt I had to do in case I ran out of time during the week. 'Stuff' I felt I had to do so that I could 'enjoy' my weekday off. 'Stuff' that just got on the list because I like having stuff to do. In short, I've been a bit of a headless chicken. Predictably, it's drained me and in hindsight it was foolish. But I had to do it to get it out of my system if that makes sense. Going forward from here, I realise that it's going to be case of working smarter not harder when it comes to trying to deal with the intense life stress that is only having one week day off rather than two. Larger grocery shops and more loads of laundry on the weekends, making one more freezer friendly meal every now and then, doing housework on the weekend.... In short, doing what the full timers of the world have been doing quietly since time began. So I've decided to take that reality check, do some deep breathing and just get on with it. Pinch Of Yum's Banh Mi Bowls have been added to my lunch prep list of recipes because they taste amazing and also make enough meat balls and pickled carrots to cover the four days I'm now at work. 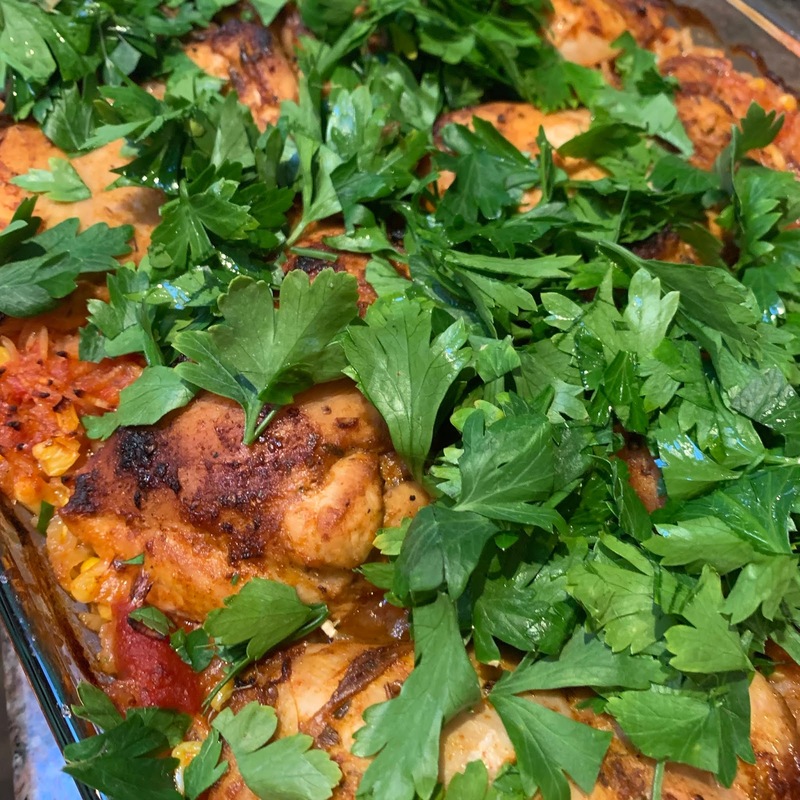 Recipes like the one for Portugese Baked Chicken and Rice from a Woolies magazine circa 2017 have now maerialized on my Saturday night cooking repertoire. Recipes that serve six are code for 'at least two meals for the freezer'. 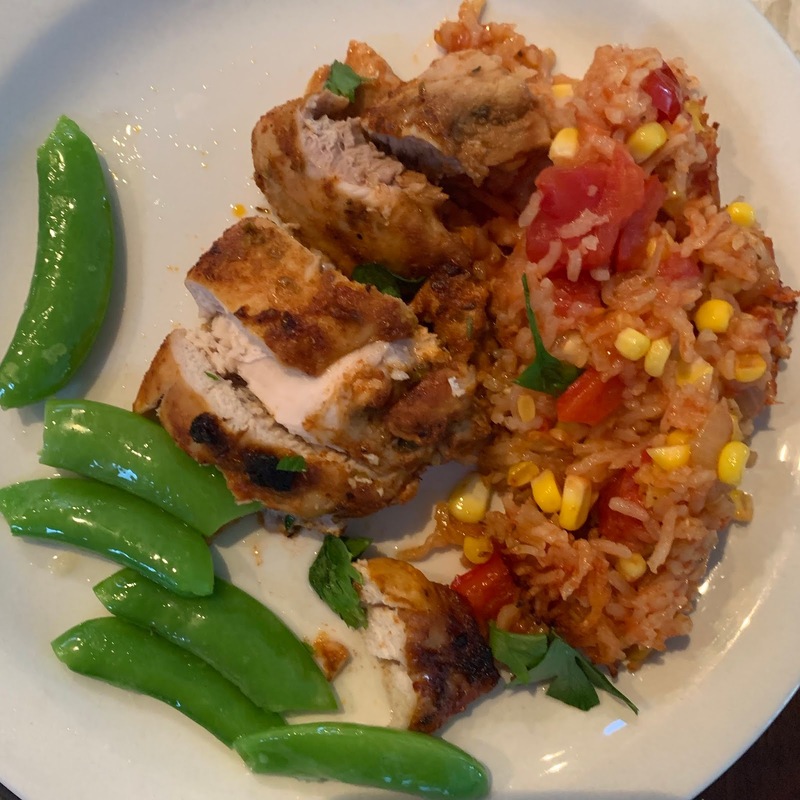 Meal prep logistics aside, fresh corn and tinned tomatoes cooked with long grain rice are an excellent way of getting stealth vegetables into a streetwise six year old. An unforeseen (or perhaps not so unforeseen given my the contetnts of my wardobe) byproduct of my increased hours is the misguided notion that I need to commeorate the change with a meaningful purchase. In the shape of a green handbag. Green. I don't quite know why I decided on green but there you have it. The contenders are as follows. 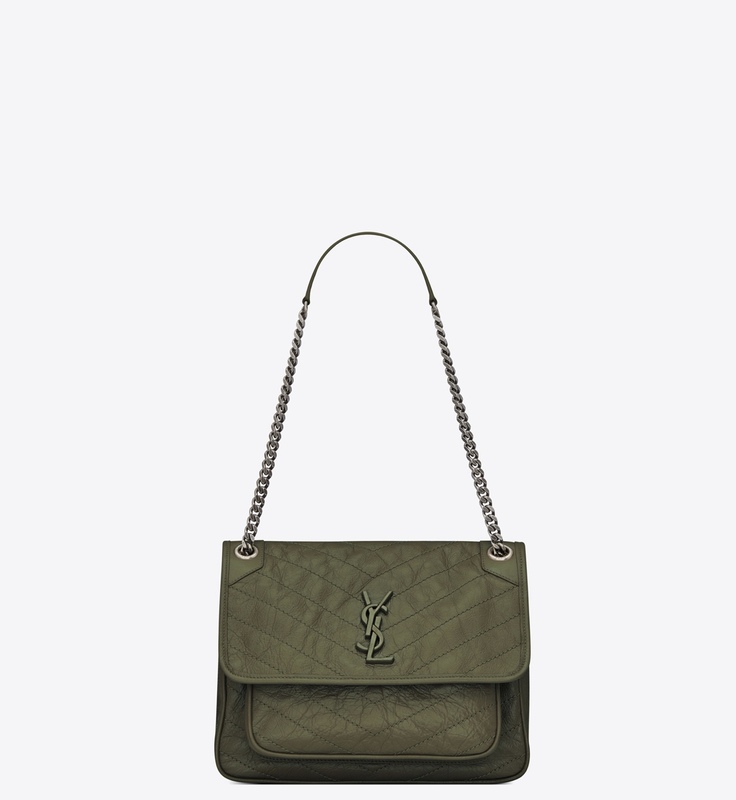 This Niki shoulder bag from Saint Laurent. It just says 'edgy' enough for school pick up but also has enough pockets and a long enough strap for the real world. The 'Solo' from Oroton which appears to be undergoing a metamorphosis under its new creative director Sophie Holt (who was previously responsible for turning Country Road around ). This bag is part of 'The Botanist' collection that has just launched for the brand. Hope the next few weeks get easier for you to adjust to SSG! I am not looking forward to increasing my days at work, I think I'll struggle with it as you pointed out, wanting to do everything and just feeling overwhelmed. With time it will settle to a routine though, I'm just not ready to attempt it yet, haha! You know me, I'll always justify another bag! I'm not usually a green person, but I'm loving that Oroton one! Sounds like all in all your first week went well. I am sure you'll find a new system that works for you within a month or so. That chicken looks delicious, do you have a link to the recipe?